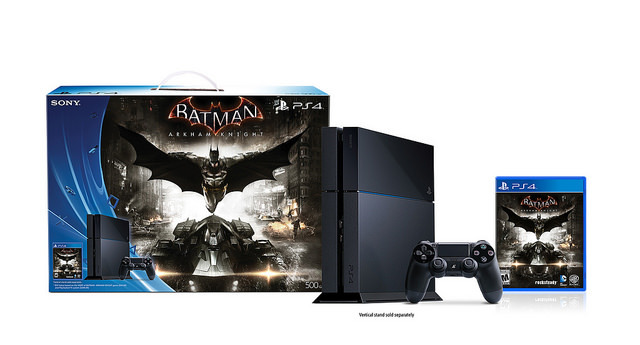 If you haven't upgraded to the PS4 yet, Sony hopes that the Dark Knight will persuade you. 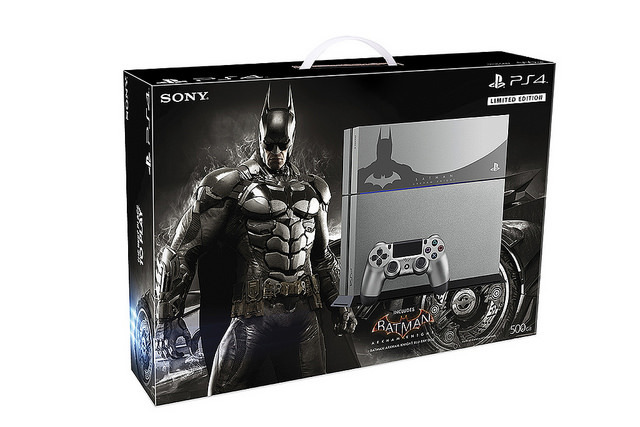 They've teamed up with Warner Bros. to produce a Batman: Arkham Knight version of the console. 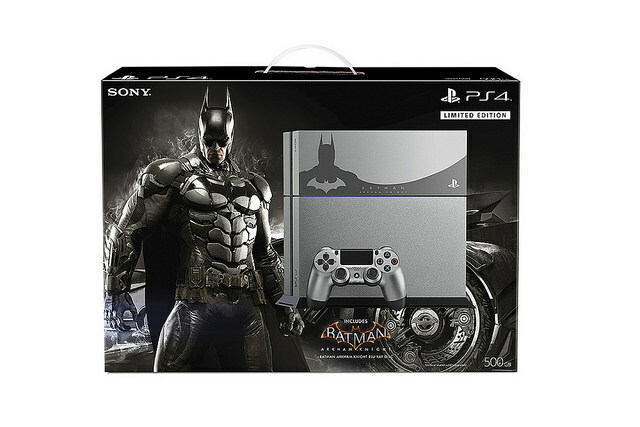 "This special bundle will be available for $449.99 (MSRP) and will include the limited edition Steel Grey PS4 system chassis with a custom Batman: Arkham Knight faceplate, a matching DualShock 4 wireless controller in Steel Grey and the explosive finale to the award-winning Arkham trilogy, Batman: Arkham Knight," said SCEA's John Koller on PlayStation.Blog. Sony also began accepting digital pre-orders for the PS4 version of Arkham Knight through the PlayStation Store today. 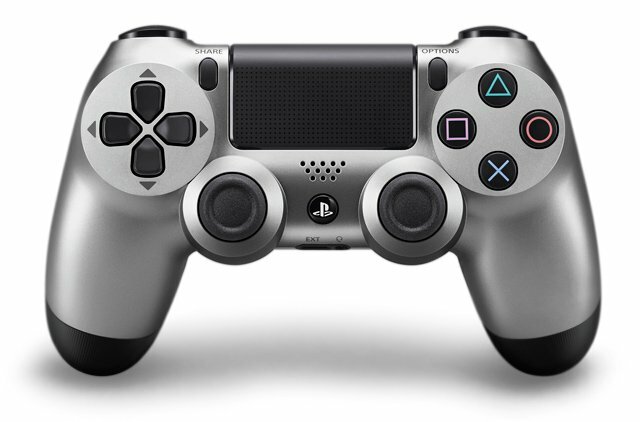 Koller notes that the PS4 owners will "get access to bonus content before it's available anywhere else." This bonus DLC includes new missions along with skins for Batman and his car. No other details about the DLC, such as the period of exclusivity for PS4, were shared. This content is in addition to the Red Hood and Harley Quinn add-ons previously announced for pre-orders on all platforms. Console bundles are a popular tactic for Sony and Microsoft this generation. 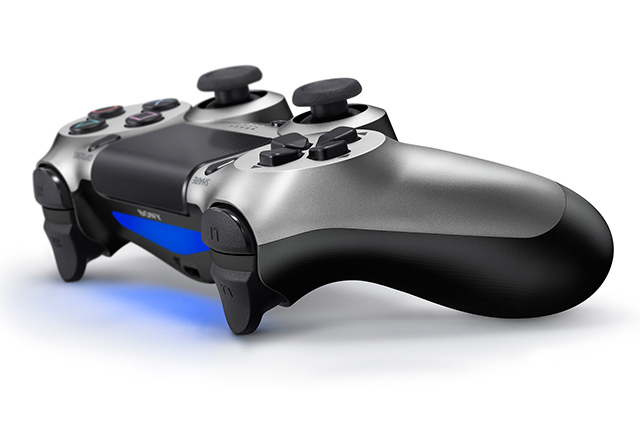 Sony offered a white PS4 bundle with Destiny this fall. Microsoft responded by bundling Call of Duty: Advanced Warfare and Madden NFL 15 with Xbox One. These packages are generally good news for shoppers; in many cases, limited edition consoles come with a game for no additional charge. New consoles are pricey so it's nice not to have to pay for a $60 on top of that. Warner Bros. announced last week that Batman: Arkham Knight was being delayed a few weeks. It's now expected to launch worldwide on June 23rd.